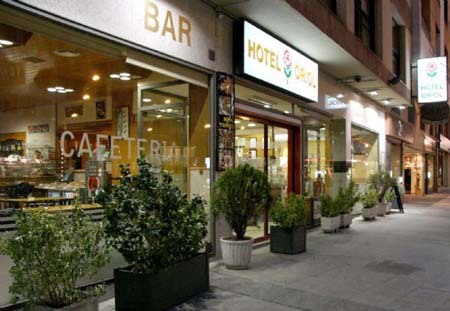 Address: Plaça Coprinceps, 4 Escaldes-Engordany, Andorra-a-Velha (Andorra la Vella), Andorra. 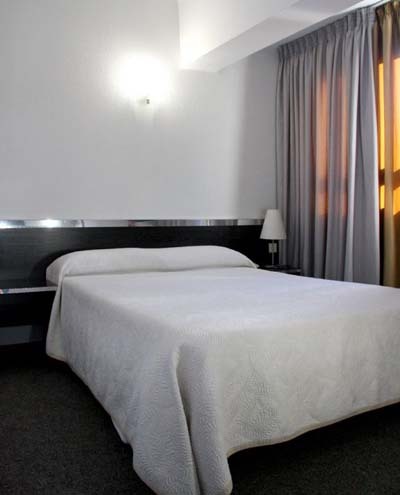 A free Wi-Fi zone and functional, modern rooms with a TV and heating can be found at Oriol. It is located 400 metres from Caldea Thermal Spa, in the centre of Escaldes-Engordany. The Oriol’s restaurant serves homemade meals, including 3 set menus. There is also a café-bar. Various international restaurants can be found in the surrounding streets. Oriol is set in the quiet Coprinceps Square, just off the main shopping street of Escaldes. Andorra la Vella only 1 km away, while Encamp Ski Resort is 7 km away. Ski storage is available at the hotel, and the 24-hour reception provides information about Andorra.